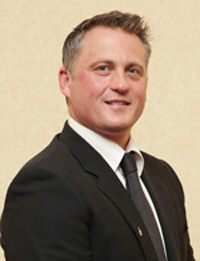 Darren Gough played for his home county Yorkshire for 15 years before joining Essex in 2004. He then returned to Yorkshire for the 2007 season as captain. He made his debut for England in 1994 making an immediate impression by taking six wickets in the Third Test against New Zealand. By the end of 2000, he had taken over 180 wickets playing for his country. He retired from playing in 2008 and since then has worked in the media including taking part in the BBC television show Strictly Come Dancing, and now he is a regular host on Talksport Radio.